Anger over President Obama’s executive actions on immigration wasn’t enough to prevent the Senate confirmation of a new deputy attorney general on Wednesday. 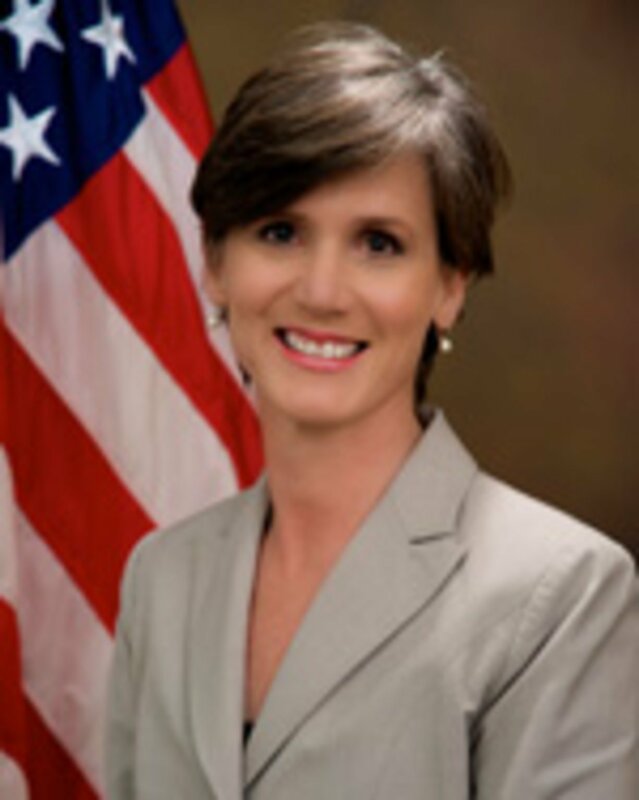 Sally Yates, known for cracking down on crime in Georgia, was confirmed to the No. 2 position in the Justice Department with by a 84-12 vote in the Senate, Politico.com reports. Some Republicans tried to prevent the confirmation on the grounds that the president’s executive actions on immigration were unconscionable. But Lynch gained strong support from the GOP. “She is an experienced and dedicated prosecutor with a well-deserved reputation for fairness, integrity, toughness. She is a confirmed leader in this crucial position,” the Senate Judiciary Committee’s Patrick Leahy, of Vermont, said. Yates replaces James Coles, who resigned at the beginning of the year. Posted: 5/14/15 at 9:15 AM under Milestone, News Story.